Just kidding, it’s not really finished. I wish! But I have (bravely) done the math to see just how long it will actually be until it IS finished. I thought you guys might find this math helpful in case you are considering a 1-inch hexi quilt. As I mentioned in my hexagon tutorial, hexagons are measured by the length of one side. A 1-inch hexagon is 1 inch per side, but actually measures 2 inches across the long side and 1 3/4 inch across the short side. I want my quilt to be a throw size so it can live on the back of the couch and be enjoyed by all. I started with an approximate goal of something like 50 x 70. Since I have a pack of 1,200 papers from paperpieces.com I started my math by trying to figure out if that is enough or if I’ll need to reuse some. 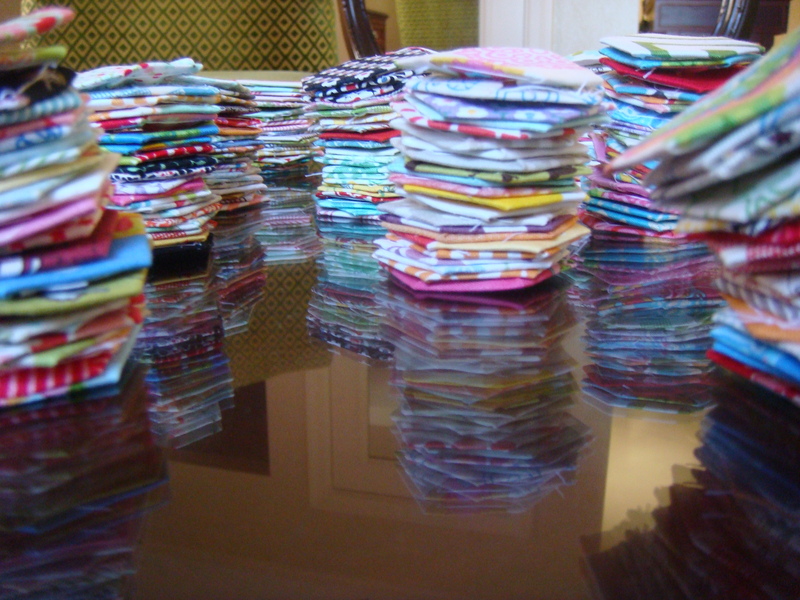 After some trial and error I discovered that if I make 38 rows of 32 hexagons that will yield a 56 x 76 finished quilt. I’ll need 1216 papers, so I will need to reuse some. 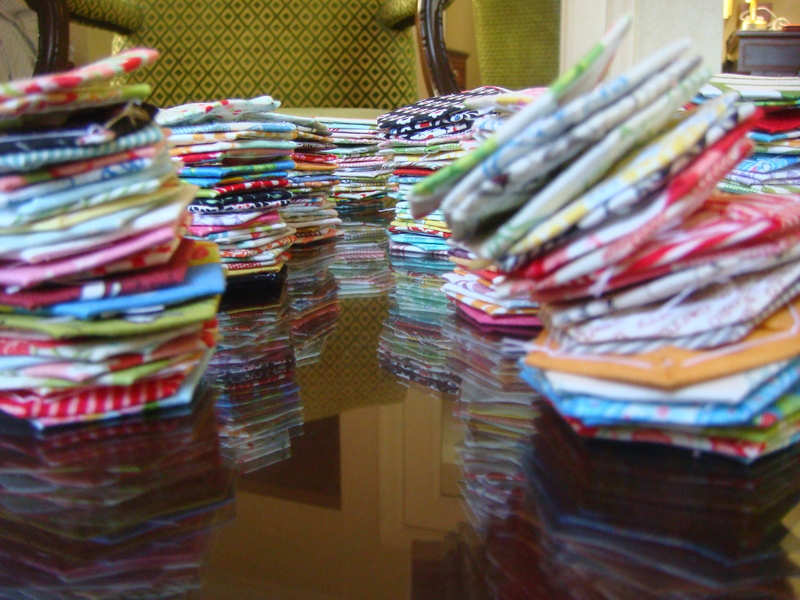 In fact, I’ll need to reuse a fair amount because I’ve given some papers away and I’m sorting out any fabric that’s not low volume enough (you can read about that here). So far I have a slab of 70 hexagons all sewn together. I also have a stack of 15 rows of 5 (that’s 75 hexagons). 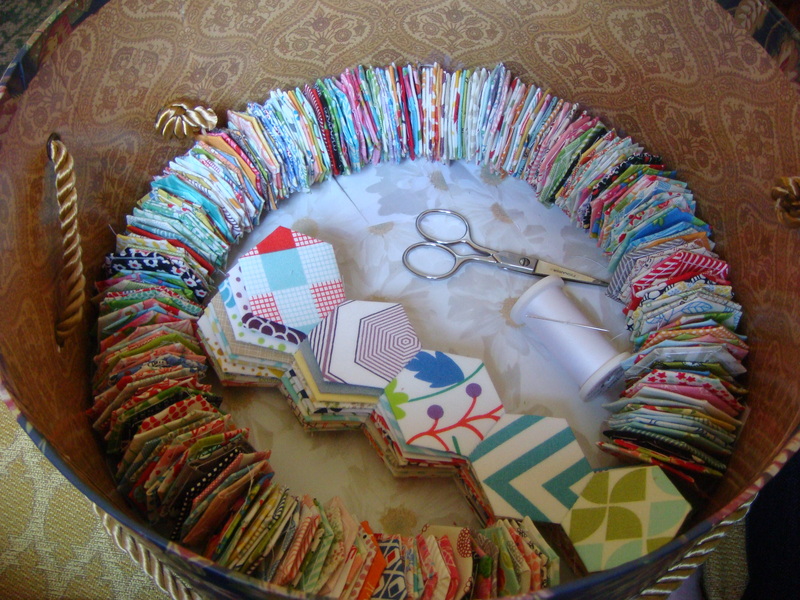 Then I have an additional 270 basted hexies. So I’m about 1/3 done with basting. And some very low percentage done with sewing them together. It’ll be well into 2014 until I even get close to a finish on this one. But I’m not depressed by that and I’ll tell you why. I consider this a sort of “bonus quilt.” An extra. It has no deadline. 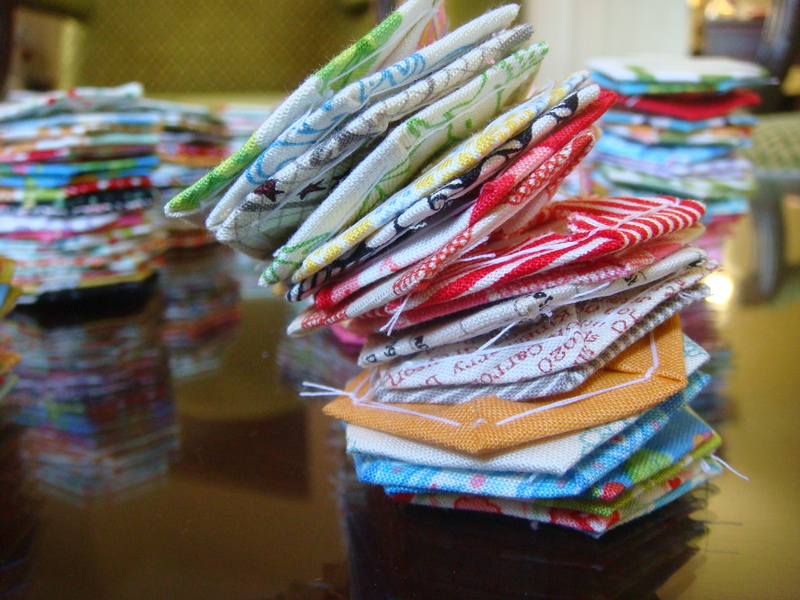 The fabric is all either scraps or mini charm packs I’ve picked up here and there so it hasn’t been a big expense. I’ve mostly worked on it at times I would not have otherwise been sewing: outside watching the kids play, in front of the tv, in the car. 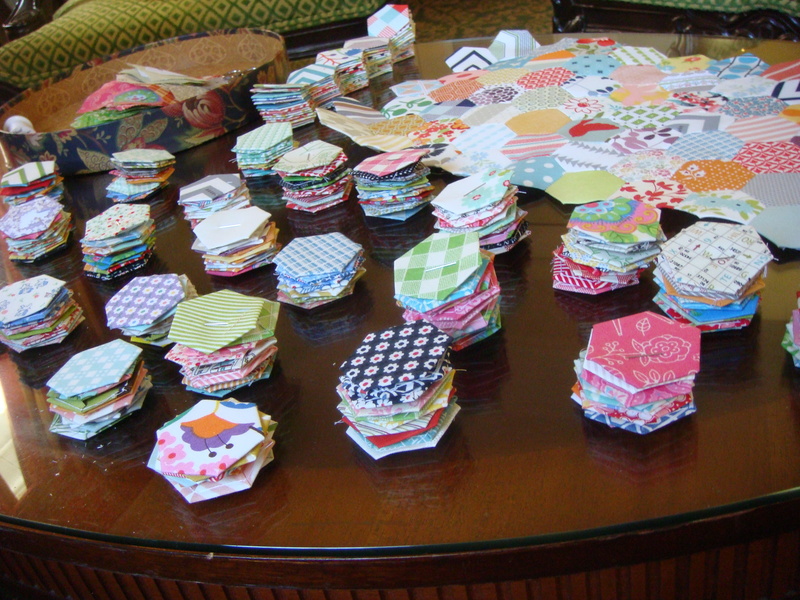 Plus, who wouldn’t want these pretty little hexagons stacks all over their house?